Deskworx Seminars offers a professional and multi-purpose space for individuals, businesses, not-for-profits, and community organizations to host a range of corporate, educational, and social events. Deskworx Seminars is a large sun-drenched multi-purpose seminar space. It is the perfect space to host your upcoming lectures, corporate events, or seminars. Past events have ranged from VCE workshops to massage therapy training courses and everything in between. 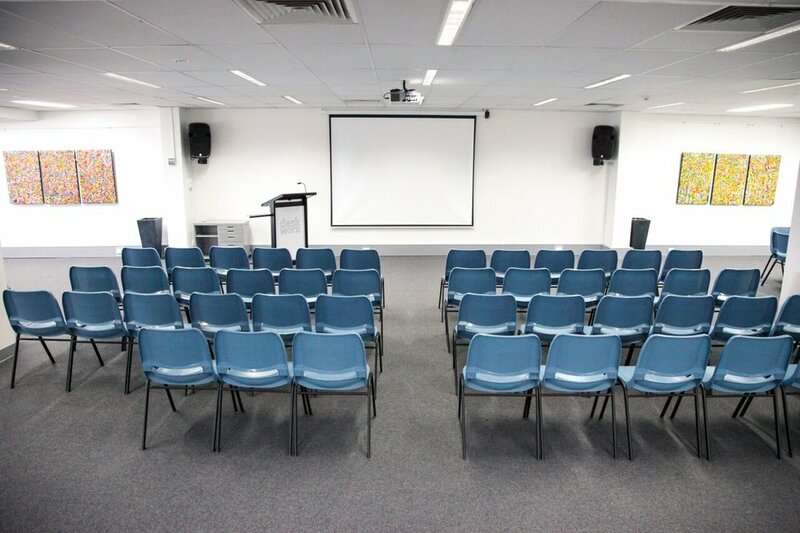 Deskworx Seminars is located at Level 1/3 Wellington Street, St Kilda, VIC. Our venue hire comes with full A/V equipment including projector, screen, lectern, microphone, and speakers as well as internet access during your event. Our kitchenette with a sink and powerpoint provide a great space for self-catering. The space has trestle tables and chairs and the ability to set up the room in order to best suit your needs. Our venue is heated and air conditioned so the temperature will be perfectly controlled to meet your needs in any weather. We also have a small bar fridge that is perfect for keeping coffee and tea supplies as well as snacks. Access the seminar space is accessible 24 hours a day, 7 days a week to provide utmost flexibility for your event. You are welcome to bring food and drinks from any restaurant or caterer into the venue. Our venue is perfectly located in the buzzing St Kilda Junction. We are easily accessible by the 3, 16, 64, and 67 trams that run through the St Kilda Junction. We are also a close walk to the Windsor Train Station. Street parking is available on Wellington Street as well as a number of neighbouring side streets. There are a number of options for accommodation within walking distance of the venue. 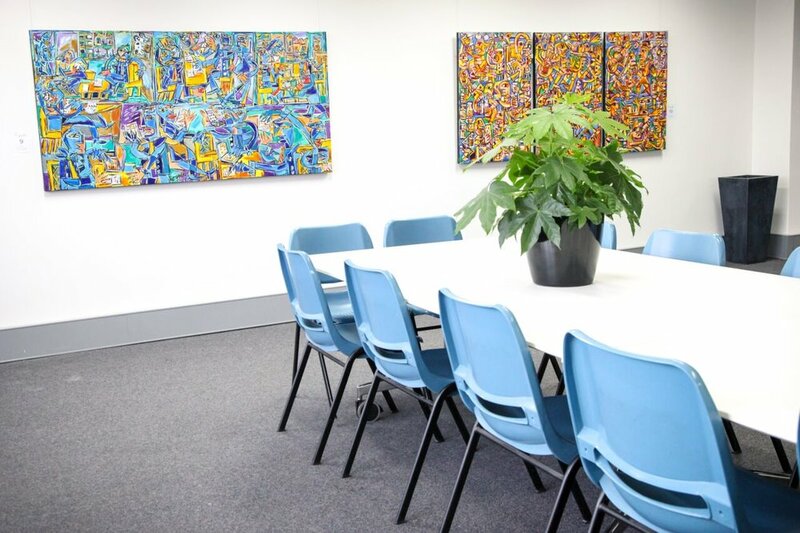 Seminar Space is available for half day, full day, evening, weekend and public holiday bookings. Please contact Ann Tanner at ann@ncn.net.au or (03) 9380 7721 to schedule a tour.